If you’re pushing yourself to the limit, you want something that will keep up and won’t fail when it matters most. 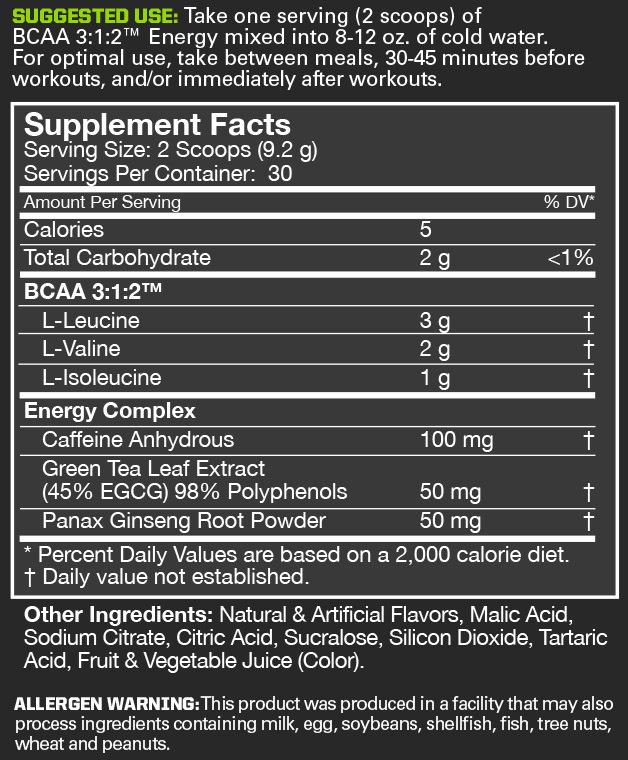 With MusclePharm’s BCAA 3:1:2, you get a patent-pending branched chain amino acid complex that not only delivers when it counts but gives you precisely what your body needs. It’s the perfect combination of BCAAs to reduce muscle breakdown, fueling muscle development, increased lean body mass and even aiding in fat loss. 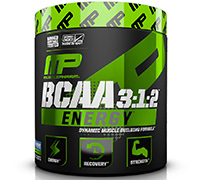 There is nothing subpar about MP’s BCAA 3:1:2 and your results will be proof of that. This BCAA complex is pure and all about performance. Since the human body can’t manufacture them, athletes must ingest BCAAs through specific foods or through supplementation. With MP’s BCAA 3:1:2, you’re giving your body the best chance to develop lean mass more effectively. Isoleucine: With one gram of isoleucine, this glycogenic amino acid creates the glucose your body burns for energy. Valine: Like leucine and isoleucine, the two grams of valine encourages protein synthesis and muscle tissue growth while providing energy from glucose creation. It also acts as a facilitator for normal growth and a reparative agent for various tissues in the body. Consume 1 serving daily. For optimal use, take between meals, 30-45 minutes before workouts, and or immediately after workouts.